In 2012 South Sudan voted to become their own country after years of civil war between the North & South. Civil war devastated much of the country. As refugees returned to their country they found burned schools, churches & homes but are beginning to rebuild. 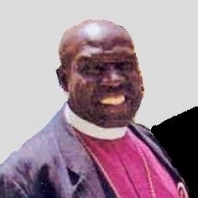 Bishop Tom Kokanyi is our director of ministry in this nation. Programs for the Training of teacher's. Due to the unrest South Sudan is not equipped with teachers or schools. This training will help rebuild so many will have the opportunity to be educated in South Sudan rather than Uganda, where they would need to find a place to stay. 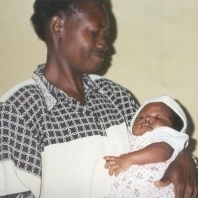 Mercy Baby Home has been established for motherless, fatherless babies & infants who have lost their parents to AIDS, Malaria or other diseases. Feeding & Training Center where malnourished children and expectant mothers will be given a balanced diet and instructions on what constitutes a balanced diet. Stop Poverty Program helps women of SouthSudan become self-sufficient. With the purchase of chickens & goats to raise for reproduction; ground nut seed for planting & tie dying cloth for sale helps these women reap the harvest of what they have produced and provide for themselves & their families as well as sell in the market place. 40 Bicycles provided for pastors who did not have any form of transportation. Drilling for Wells have brought clean water to many villages.